The UBC School of Architecture and Landscape Architecture is the only one of its kind in British Columbia, Canada. 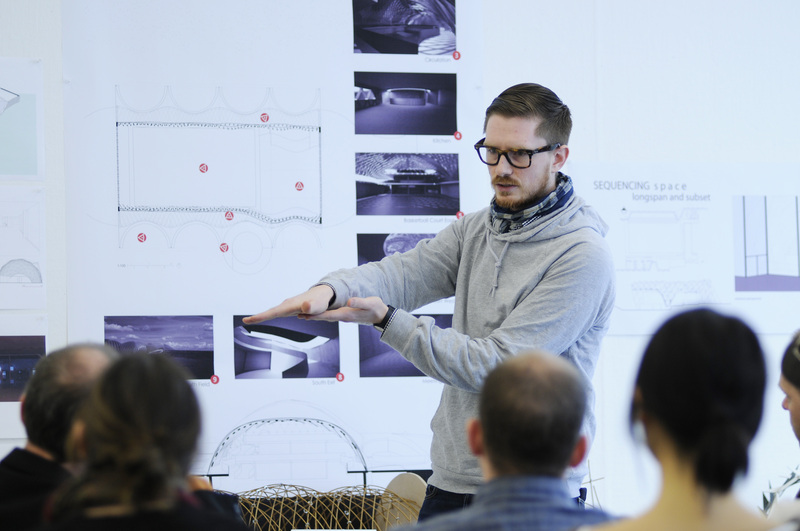 It contributes significantly to the dialogue, education, research, and innovation within the architecture and landscape architecture professions and plays a positive role within both UBC and the wider community. Through its undergraduate, professional, and research programs, the school aspires to produce outstanding graduates equipped to anticipate evolving realities within the realm of contemporary practice and to provide the necessary design, technical and intellectual leadership that will contribute to a built environment supportive of civil and sustainable patterns of living. Mari Fujita investigates the processes of spatial and social transformation in postmodern cities. Much of her work is focused on specific urban conditions in China and Malaysia where cities are undergoing radical transformations. In these countries a rapidly growing economy is resulting in a growing divide between classes. The space of the city has become a contested territory in which new forms of urban development are fundamentally altering the physical occupation of the city as well as the ways in which the city is imagined. Questions that Mari Fujita’s work addresses include how architecture participates in the construction of place and identity, how media and technology transform the perception of space, and how architectural form participates in networks and other formations that are inherently in motion.